BACK IN 1997, THE AUTO REPAIR INDUSTRY WAS IN NEED OF AN OVERHAUL. 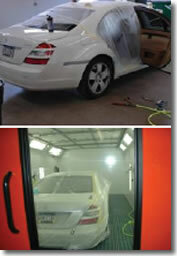 THEN WE CAME ALONG AND CREATED THE FIRST AUTO BODY EXPRESS ACCIDENT REPAIR BUSINESS. SOON WE WERE OFFERING A FRANCHISE OPPORTUNITY THAT HAS LEFT OTHERS IN OUR REAR-VIEW MIRROR. Did you know that over 75% of all vehicles that have been in an accident are still drivable? The majority of these accidents can be repaired for a cost at or below a consumers insurance deductible. With insurance rates and deductibles rising, this translates into an enormous market of consumers who have vehicles that are in need of drivable accident repair. Carsmetics specializes in fixing this type of damage. 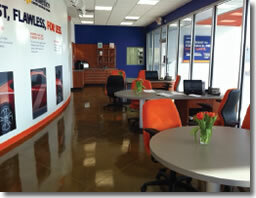 Until we opened, there was no retail repair option available for consumers to go to have their drivable damage fixed. We have revolutionized the industry by ensuring that our customers get their vehicle and their life back on the road again quickly. Carsmetics understands that time and money are important to our customers, and our process saves them both. You know you are doing something right when your internet reviews are overwhelmingly positive. Our Carsmetics Team has been looking out for our customers for over 15 years. Our Franchise Development and Support Team have been doing the same for our franchisees since we began franchising. We know what it takes to make you successful, and we are looking forward to sharing our vision with you. You don't need any prior experience in the accident repair industry. Carsmetics is now offering an extended Discovery Week where you will actually shadow the personnel in one of our company-owned locations. This offer is made to financially qualified candidates who have signed all non-disclosure documents. Our initial training program consists of approximately four weeks of on-line, classroom and on-site training at a Carsmetics location owned by one of our affiliates in Tampa, Florida. We suggest that you, your general manager, and at least two additional employees attend and complete our initial training program. In addition, one of our representatives will be at your site for up to 14 days (to be scheduled around your opening). Click on Request Information for FREE info on how to open a Carsmetics franchise today! Please Note: This Carsmetics franchise opportunity and other franchise business opportunities, businesses and franchises for sale on this web site are not to be considered as an "offering", "franchise offering", suggestion or recommendation by Franchise Leader™. This advertisement depends entirely on the truthfulness of the information provided by our advertisers which includes, but is not limited to, franchisers, franchise brokers, franchise consultants and business brokers. Franchise Leader™ recommends that you consult a lawyer, financial consultant, accountant or professional advisor before buying a franchise or business opportunity or any type of business. By using this form or any part of our website, you have agreed to all terms and conditions of Franchise Leader™. Please review our Terms & Conditions for more information.